An information disclosure flaw was found in the way OpenSSL handled TLS and DTLS Heartbeat Extension packets. OpenSSL is used in NoMachine software to power TLS and encryption in a number of subsystems. 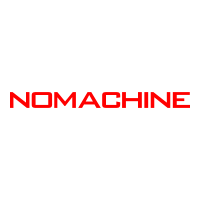 NoMachine has already commenced building and testing its own software with the updated OpenSSL libraries. The new packages will be released as soon as possible with instructions on how to regenerate the possibly compromised keys. Until then, NoMachine advises its users to put all machines containing sensitive information off-line.